I know... I am forever ruined by that movie. It's hilarious to me and I laugh at it and quote it OFTEN. But today we are going to talk about LARD!!!!! When my Mom and I had our pigs processed last time I made sure that I got everything I could from our piggy. It takes a lot to feed this family of mine and I appreciate all this pig had to offer. 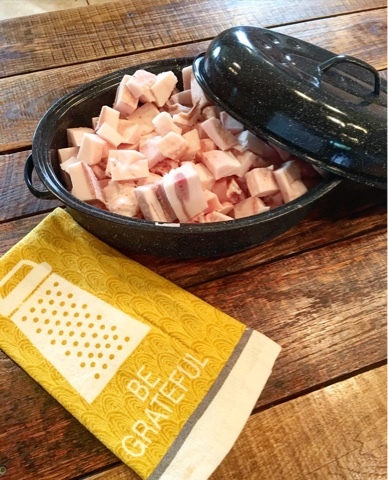 That dish towel says it right, "Be Grateful" and I sure am. 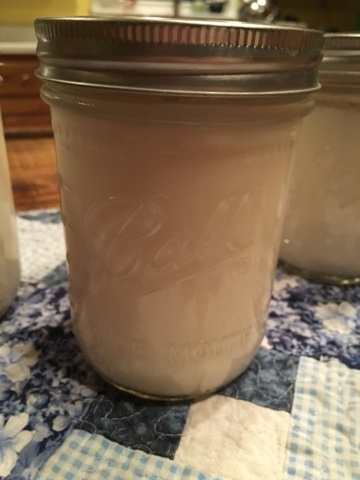 I am so grateful I have such knowledgeable friends who I can turn to when I know I have asked them 5 times already... "What's the best way to render your lard? I've read this and I've read that but how do you like it best?" And I am grateful to them, because they told me how to render beautiful, pure snow white, incredible lard! Mild enough for baking without everything having a bacon or ham taste, but wonderful enough to fry some chicken if the mood hits! This is the instructions I was given. 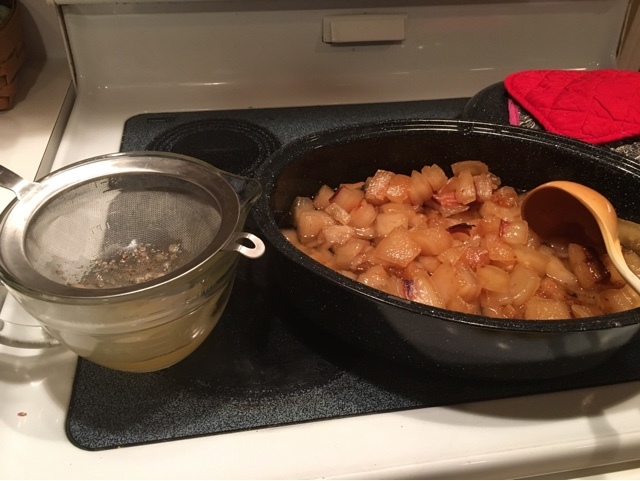 Take a roasting pan with a lid and cut your lard into approximately 1-2" cubes. Fill pan to full. Put in a LOW oven 190*-200* and be patient. 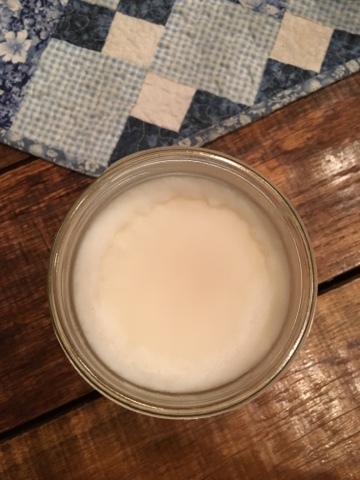 In the morning, your lard will look similar to this in the picture below. There is a liquid that has pulled away from the chunks. Ladle and strain that liquid and begin filling your mason jars. Then, pop your lid on and back in the oven your roasting pan goes. In a few more hours do the same thing. 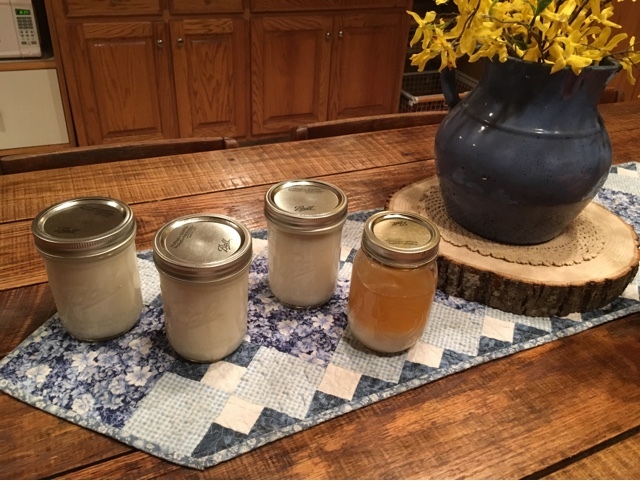 Do this all day, every few hours pull off the liquid and pour it into your jars. This was a during photo. On the left was my first two pour offs of liquid and they were not solid yet. On the right is my sourdough that is working. This is what the lard looked like when it was completely cool. See the difference? On the left... completely solid and cold. 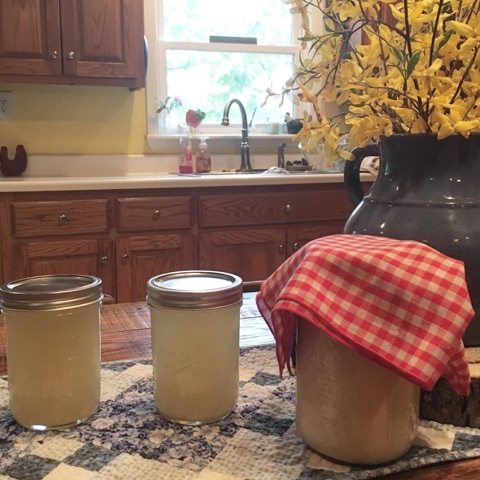 On the right, recently rendered hot lard. My friend even reminded me NOT to forget to save those leftover pieces of fat. Those are the cracklings. I remember as a young girl snubbing my nose at these. What a fool I was. Give me some green beans and throw these suckers on top. YUM! 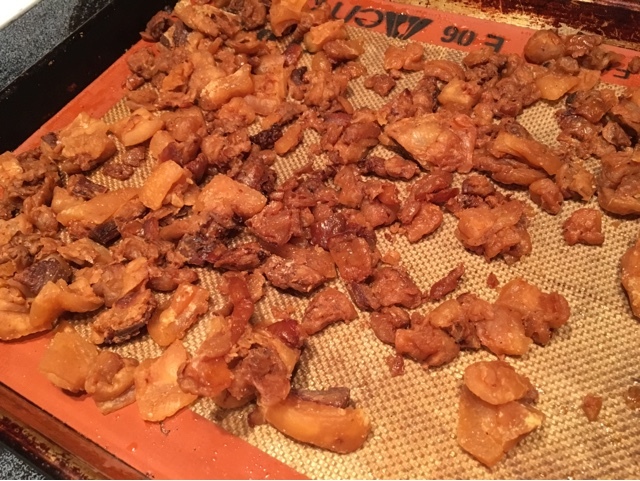 I just laid my cracklings out on a baking sheet and slightly salted them. I then put them in the oven for maybe 20 minutes at 350* til golden brown and shriveled. Some are crispy and a little crunchy, some melt in your mouth! I'm so thankful for my helpful and treasured friends. Not only do we enjoy each others company, we are there to help one another along on this homesteading adventure. What a blessing!